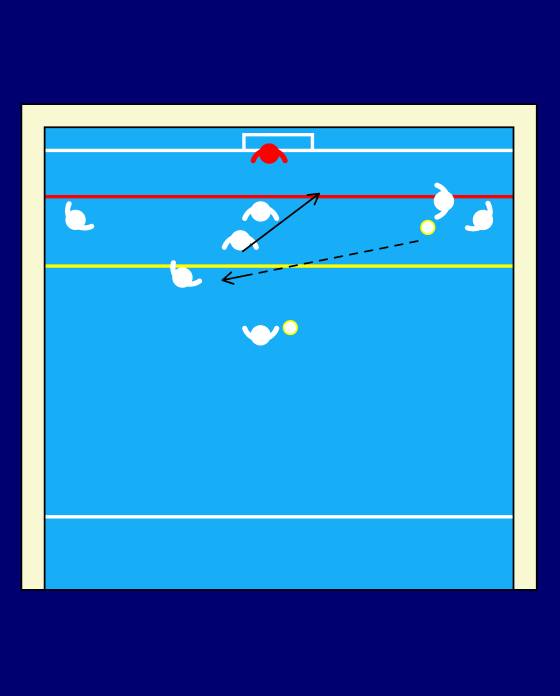 Middle player passes to the right, and swims towards the goal. 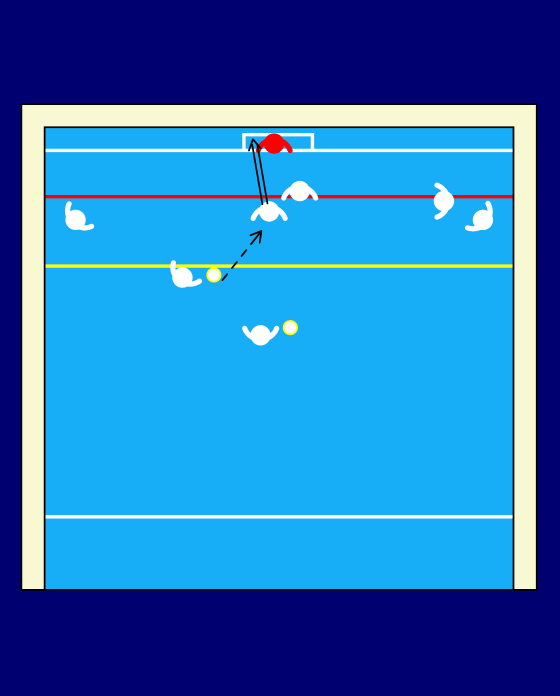 At the same time a player from the left row swims to the green line. Pass back to the incoming player. 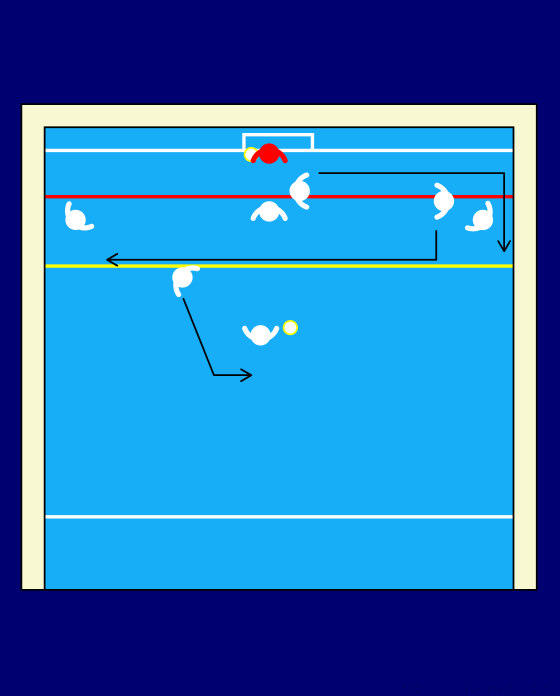 Player inside stays in front of the defender and moves backwards. 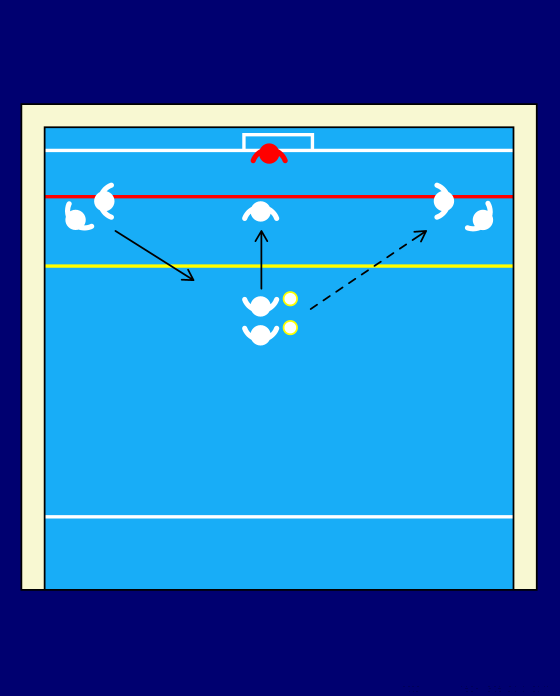 Pass to the inside player.